Reliance JioPhone has an alphanumeric keypad and a 4-way navigation button panel, but JioPhone 2 keyboard provides a QWERTY keypad for an ease of typing. The JioPhone looks like sharp and it has vertical display and it is covered in matte black colour. But, the JioPhone 2 comes with a horizontal screen display and an easy keyboard. 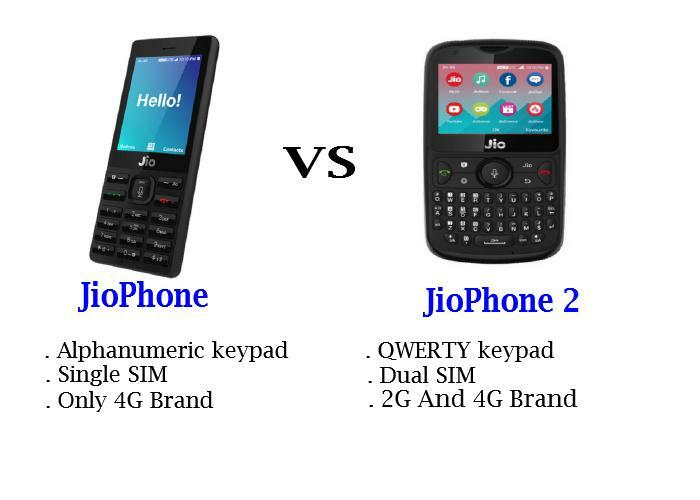 The JioPhone 2 has dual SIM, Slot 1 active Jio SIM + Slot 2 any other operator 2G SIM, but old JioPhone has only single SIM slot for active Jio SIM. The old Jio feature phone could not support popular social media and messaging apps YouTube and WhatsApp. 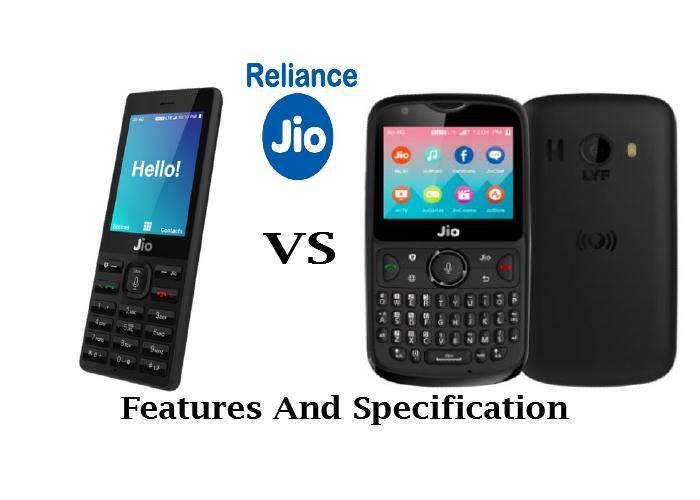 But new feature phone JioPhone 2 would come pre-installed with social media and instant messaging apps Facebook, YouTube and WhatsApp whereas the apps would be added to JioPhone sometime later as a software upgrade or side-loaded apps.